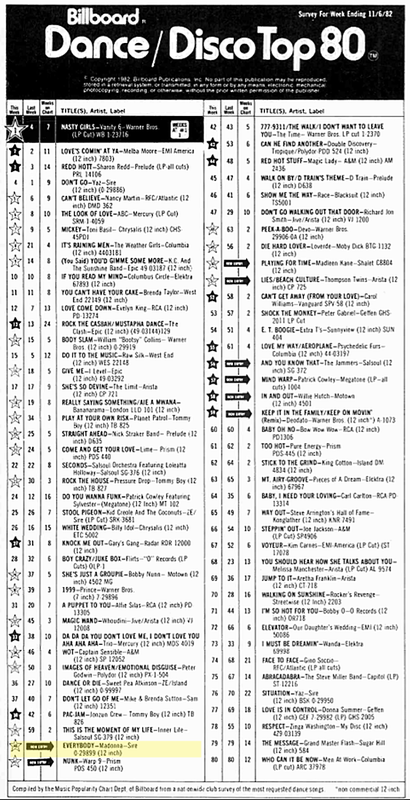 On November 6 1982, Madonna lost her chart virginity with her very first appearance in Billboard magazine, as Everybody made its debut on the Hot Dance/Club chart (then titled Dance/Disco Top 80). Fittingly foreshadowing her long-term, record-shattering success on the Dance chart, it was the week’s highest new entry. 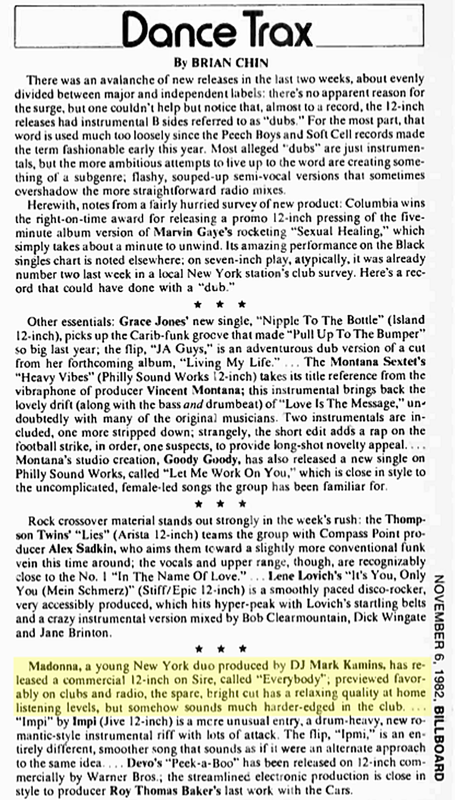 Dance music commentator Brian Chin also gave a favorable nod to the song in the same chart’s editorial sidebar. Considering Sire Records’ initially stunted marketing strategy had its limited bets set on a faceless, imageless Madonna shrouded in mystery, Chin’s miscasting of her as “a young New York duo produced by DJ Mark Kamins” is humourously forgivable, if not ironic in retrospect. 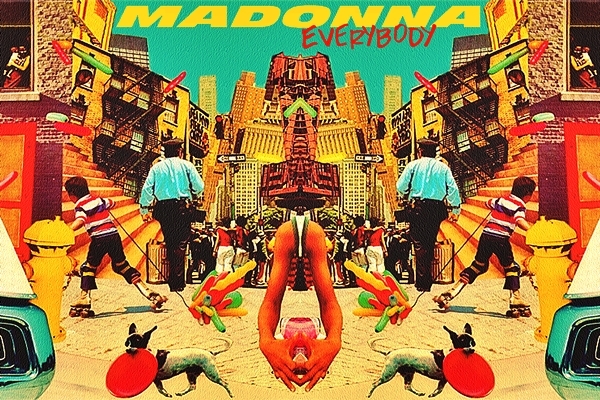 Nearly 35 years later, Madonna still lets all of us dance and sing because that’s what life is all about! Love Madonna!